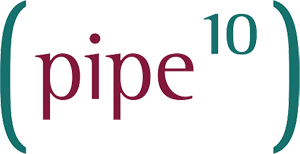 Pipe Ten Hosting Ltd is approved to supply Microsoft licensing under SPLA (Service Providers Licensing Agreement) for its customers on a monthly recurring basis. Pipe Ten adds a margin of approximately 15% to Microsoft provided GBP pricing for administrative overhead and small fluctuations. Changes in Microsoft pricing may be made with no or little notice typically twice per year (January and June). When Microsoft changes its prices to Pipe Ten then Pipe Ten will reflect these prices in its costs.